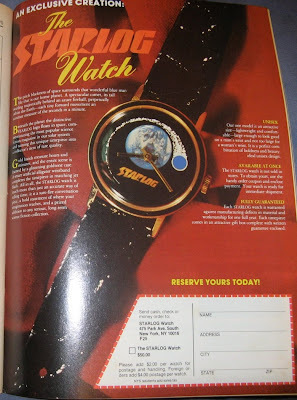 WEIMAR WORLD SERVICE: Did Anyone Buy the Starlog Watch? I bought one from the magazine back then and still own it. It's in near perfect condition with original box and warranty card. Would I sell it, ummmm, not sure as it does still has a strong personal attachment. Bill -- Thanks for the response. I don't blame you for not wanting to give it up. I wouldn't give up one if I had it, either.